We provide a variety of custom glass and glazing needs, from bi-folding doors and aluminum storefront systems, to architectural glass and custom fabrication. Each design project is thoughtfully executed with exacting methods resulting in extreme beauty and function. Our glass openings make a statement—a celebration of outdoor living that brings the outdoors in; providing a space for unique gatherings and lasting memories. Brandt’s opened its doors in Arizona over a half century ago in 1947. A lot has happened over the years; but one thing has stayed the same, our commitment to providing Arizona and the design community with exceptional service and products. Brandt’s is a fabric store that specializes in offering quality wall covering, fabrics, trims, and window coverings and is proud to be a Hunter Douglas Gallery Dealer. Virtually every significant distributor and manufacturer is represented through Brandt’s. Brandt’s has evolved into one of the premier sources for decorative products in the country. Brandt’s has its own workroom behind the showroom. Brandt’s workroom is a full service drapery and upholstery workroom.. You will find more than great interior fashions with us. You will find friendly people who have the knowledge and expertise to help you put it all together, from design to installation. We are committed to your complete satisfaction. That’s what makes your source for interior fashions. We are your local decorative and solar film installation company in the East Valley. We specialize in beautifying your home by adding privacy, reducing heat and glare or simply providing a splash of fashion to your interior. All of our Window Genie technicians wear photo ID badges for your protection and have been trained on the importance of quality service before entering your home or office. We are fully insured, bonded and ready to provide you with the very best in professionalism, customer satisfaction and job quality. We provide several additional services for your home and office in the East Valley and the surrounding communities and would be happy to do our part in helping beautify your home. Superior Replacement windows is a residential and commercial glazier providing window repair and glass replacement for homes all across Maricopa County. While our main glass shop is in Phoenix, we are service all the surrounding cities through a fleet of glaziers trained to handle any glass job including replacement windows, glass shower doors and tub enclosures, sliding glass doors, window glass replacement, glass doors, mirrors, glass shelving and table top glass. For single pane window glass replacement and dual pane sliding glass door glass replacement, we can provide same day service. 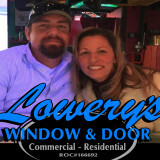 Call for a price quote on your next window or glass project! Window and door supply and installation. In the business for over 30 years. Thousands of satisfied customers. We at Lunstrum Windows have been serving the window needs of residents and businesses for over three decades. We provide and install quality windows and doors at competitive prices. Our goal: happy customers who are satisfied that they have received the very best in window products and the finest service available. After 35 years in business and having served at least a thousand customers we have a solid reputation in our field. In fact over 70% of our business is repeat business or referrals. If you are looking for replacement windows and/or patio doors Green Star Window Systems delivers top-notch products, customer service and installation to the entire Phoenix Valley. 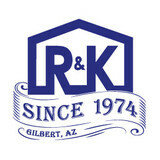 We are a family owned business in Sun City, AZ that is licensed, bonded and insured. No matter the size of your project, the experienced professionals at Green Star Window Systems will plan, design, construct, and maintain your project from start to finish. We offer high performance and energy-efficient windows and patio doors that are backed by a limited lifetime warranty through Alside; a manufacturer of quality building products for over 65 years. Krasiva Windows and Doors provides beautiful, high quality, replacement windows, and doors for homes all across Phoenix. Each person in the installation department has at least 10 years of experience in construction - even the helpers. 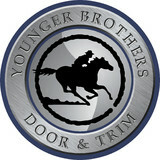 We have been in business for over 20 years in the valley. We have thousands of happy homeowners and great reviews all over the web. We pride ourselves on the quality of craftsmanship and attention to detail we provide to each of our customers. We are also the home of the "World's Best Energy Efficient Glass". We offer a variety of unique replacement windows and door products, including the most state of the art double pane vinyl windows. We carry French doors, entry doors, and sliding doors, as well as custom selections. So give us a call, you will be glad you did! Call us today for a Free Quote! We offer only the best when it comes to replacement windows for the Arizona climate! Our excellent staff of trained and qualified estimators will be able educate you and offer you the best value for your budget. 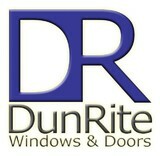 Not only that, when you buy from Affordable Windows you get unparalleled workmanship & service. Pella Windows has windows & doors to fit any budget and fill any design need. I have over 27 years of experience working directly with builders & contractors. I specialize in custom homes & luxury remodels. 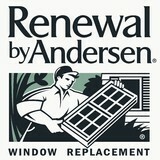 Window and Door replacement company servicing Scottsdale and it's surrounding cities. True View™ Windows is a locally owned and operated window and glass company founded in the year 2000. We started with a very small shop and a hand full of customers here in Phoenix, AZ. We now have a beautiful showroom near Phoenix Sky Harbor Airport where we display with many samples of our workmanship. Our customers expect quality customer service and we promise to deliver. With a strong commitment to excellence and ethical business standards, True View™ Windows has spent years proving that integrity and quality of service are our main objective. We insist that every employee adhere to strict ethical and business guidelines, continually improving the knowledge base of our staff through regular product and installation training. True View™ is licensed, bonded and insured contractor with AMMA Master certified technicians. We are here for you every step of the way, from the initial consultation to the installation and finishing touches. Essential to your Fountain Hills, AZ home’s beauty, function and feel, windows are one component that should never be overlooked. When they aren’t doing their job, you’ll know it, and the resulting leaks, drafts or other problems can be costly to rectify. Hire a trusted Fountain Hills, AZ window dealer to help you select and install your windows, and you’ll enjoy the rewards of your smart investment for years to come. Whether you’re building a new Fountain Hills home, remodeling an old one or just replacing a few windows that are past their prime, your window dealer in Fountain Hills, AZ will help you pick the right windows for your needs, home style and budget. Windows come in so many sizes and types that expert advice and direction is invaluable in helping you make the best decision. These pros can also help you with custom window designs that complement your space better than something ready-made. Lastly, if you are interested in doors with windows, these experts are also knowledgeable about sliding doors, French doors and other paned portals. Your window pro might work closely with other Arizona builders and remodelers as well. Here are some related professionals and vendors to complement the work of window sales & installation: Window Treatments, General Contractors, Home Builders, Specialty Contractors, Siding & Exteriors. Find a window dealer on Houzz. Narrow your search in the Professionals section of the website to Fountain Hills, AZ window dealers. You can also look through Fountain Hills, AZ photos to find examples of windows that you like, then contact the window professional who worked on them.